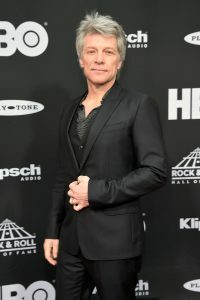 The 32nd Annual Rock and Roll Hall of Fame induction ceremony—which took place April 7, 2017, at Barclays Center in Brooklyn, New York—featured several on-stage reunions for inductees such as Journey, Yes and Electric Light Orchestra (ELO), which have all had numerous lineup changes over the years. 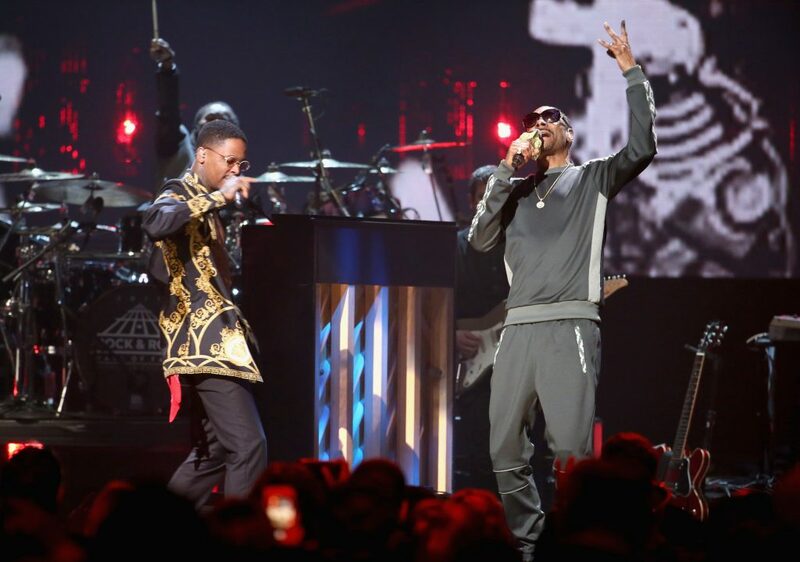 Highlights of the show will be televised in a special that premieres on HBO on April 29, 2017, at 8 p.m. Eastern Time. 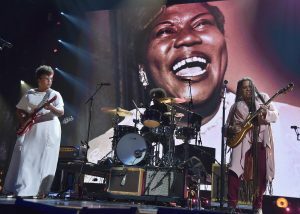 An exhibit for the 2017 inductees went on display March 31 at the Rock and Roll Hall of Fame in Cleveland. 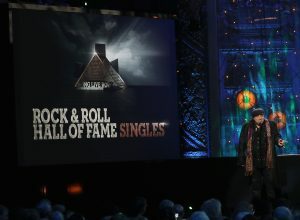 More than 900 voters picked inductees, according to the Rock and Roll Hall of Fame. 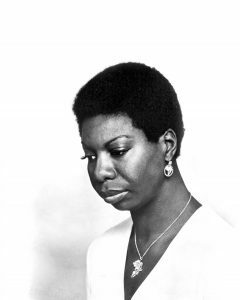 Artists are eligible for inclusion 25 years after the release of their first recording. Inducted by: Dhani Harrison, son of George Harrison. 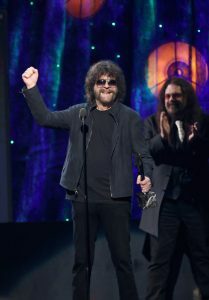 ELO leader Jeff Lynne worked with George Harrison several times as a producer and as a fellow member of the Traveling Wilburys. One of ELO’s earliest hits was the band’s 1972 cover version of Chuck Berry’s “Roll Over Beethoven,” so it was fitting that the band played the song as a tribute to Berry who died on March 18, 2017, at the age of 90. 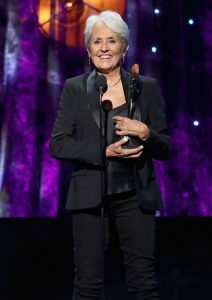 Lynne accepted the induction award on stage with ELO co-founder Roy Wood, who quit the band in 1972, a year after the band’s first album was released. Wood and Lynne have not appeared on stage together in decades. Wood, however, did not perform at the ceremony. Lynne has been recording and touring as the leader of Jeff Lynne’s ELO since 2014. 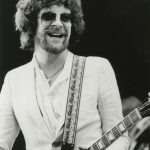 Tandy is a member of Jeff Lynne’s ELO, while Bevan formed the spinoff band ELO Part II in the 1980s, after ELO’s most successful lineup disbanded. ELO has been revived off and on over the years; there was a short-lived revival in 2001 and the group was revived again in 2014, with Lynne and Tandy as the only original members. 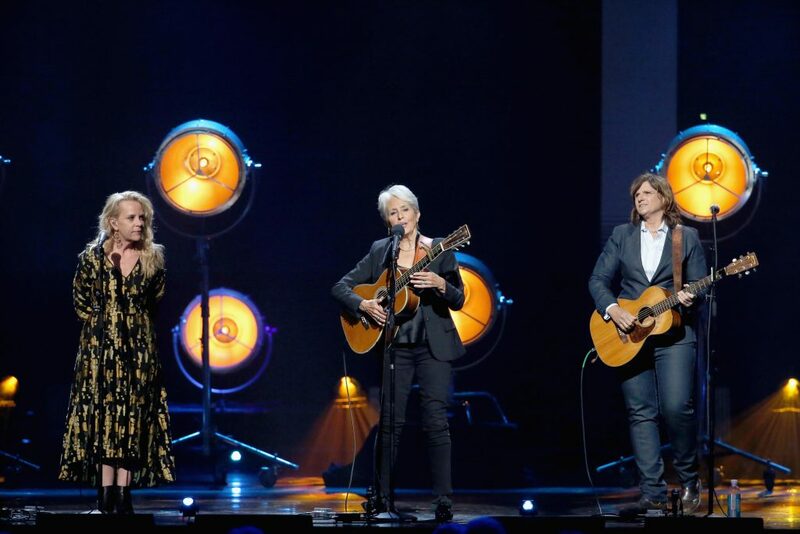 Songs performed: “Swing Low Sweet Chariot,” “Deportee” and “The Night They Drove Old Dixie Down.” For the latter two songs, Baez was joined on stage by Mary Chapin Carpenter and Indigo Girls guitarist Amy Ray. Inducted by: Geddy Lee and Alex Lifeson of Rush, a band heavily influenced by Yes’ brand of progressive rock. 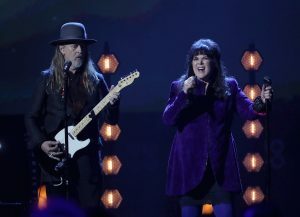 Songs performed: “Owner of a Lonely Heart,” “Roundabout.” Yes was joined on stage for the performance by former lead singer Anderson and Rush’s Lee. 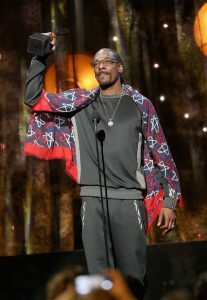 Inducted by: Snoop Dogg, who used to be on the same record label as Shakur, who was murdered in 1996. Band members inducted: Steve Perry, Neal Schon, Gregg Rolie, Ross Valory, Aynsley Dunbar, Steve Smith, Jonathan Cain. All of them attended the ceremony. Inducted by: Pat Monahan, lead singer of Train, another successful rock band from San Francisco. 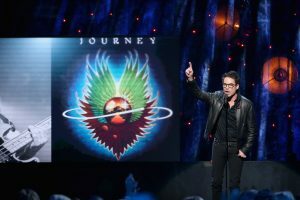 Ex-Journey singer Perry, who left the band in 1987, gave an emotional speech, in which he thanked the fans: “Speaking of fans, you’re the one who put us here. 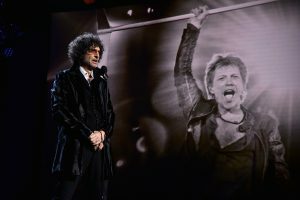 You’re the Rock and Roll Hall of Fame.” Perry did not perform with Journey at the ceremony, but former Journey keyboardist Rolie joined the band on stage for “Lights,” which Journey dedicated to Perry. Journey’s current lineup consists of lead singer Arnel Pineda, guitarist Schon, keyboardist Cain, bassist Valory and drummer Smith. 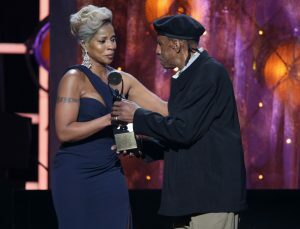 Rodgers, a Grammy-winning producer and founder of Chic, was given the Award for Musical Excellence. 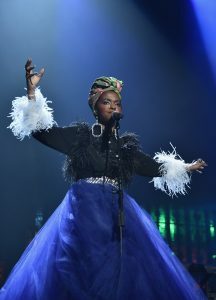 The rest of the artists were inducted in the Performers category. 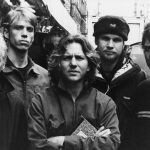 Members inducted: Eddie Vedder, Jeff Ament, Matt Cameron, Stone Gossard, Mike McCready, Dave Krusen. All of them attended the ceremony. 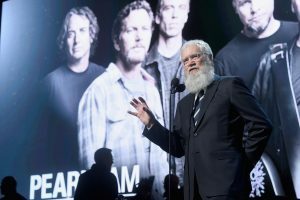 Inducted by: David Letterman, who substituted for the originally announced presenter Neil Young. Songs performed: “Alive,” “Better Man,” “Given to Fly,” “Rockin’ in the Free World.” Former Pearl Jam drummer Krusen joined Pearl Jam on stage to perform “Alive.” For “Rockin’ in the Free World,” Pearl Jam was joined on stage Yes’ Trevor Rabin; Rush’s Lee, Lifeson and Neil Peart; and Journey’s Schon and Cain. The Rock and Roll Hall of Fame in Cleveland is launching the exhibit Rolling Stone / 50 Years, which celebrates the 50th anniversary of Rolling Stone magazine. The exhibit opens May 5, 2017, and closes in November 2017. In 1967, Rolling Stone magazine was co-founded in San Francisco by Jann Wenner (who remains the magazine’s editor-in-chief) to report on rock music and the counterculture movement. In 1977, Rolling Stone moved its headquarters to New York City. Over the years, Rolling Stone’s coverage has expanded to include many other genres of music and other parts of the entertainment industry, as well as politics. Wenner has been open about being politically liberal, and the magazine’s editorial slant reflects those beliefs, such as endorsing left-leaning politicians, usually from the Democratic Party. Wenner is a board member on the Rock and Roll Hall of Fame. 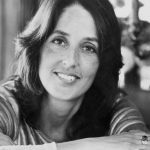 Over the years, Rolling Stone magazine has nurtured the talents of several well-known writers and photographers, including Cameron Crowe (who later won a screenwriting Oscar for his 2000 movie “Almost Famous,” which was based on his experiences writing for Rolling Stone in the 1970s), Hunter S. Thompson, Lester Bangs, P.J. O’Rourke, Matt Taibbi, Annie Liebowitz, Baron Wolman and Mark Seliger. Visitors will explore three floors highlighting the magazine’s unique ability to give voice to the times through the unique lenses of its brilliant writers, critics, visual artists and photographers. The exhibit opens in conjunction with the release of the book 50 Years of Rolling Stone (Abrams; May 16, 2017), a special book to coincide with the magazine’s 50th anniversary. The book offers a decade-by-decade exploration of the magazine from the 1960s to the present day and includes an introduction by Rolling Stone co-founder and publisher Jann S. Wenner. The book will be available for purchase in the Rock Hall store. 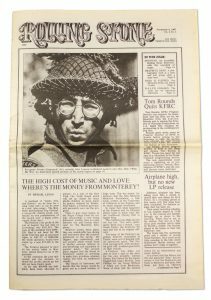 From the “Summer of Love” and Woodstock to Coachella, and “Fear and Loathing” to the financial crisis, the exhibit highlights rarely heard stories, original manuscripts, music reviews and audio interviews that spotlight the cast and talented crew—now numbering in the hundreds—of artists, writers, and more who shared a special partnership with the magazine. Visitors can also see new interview footage with artists including Lenny Kravitz, Mick Jagger, Taylor Swift, and others, specially shot for the exhibit. Visitors can also check out letters written to the magazine by celebrities, including Mick Jagger, Hunter Thompson, Paul McCartney, and even Charles Manson. There is also a special section chronicling the magazine’s trademark “Rolling Stone Interview—”the gold standard for in-depth profiles of significant artists and newsmakers—highlights include historic interviews with David Bowie, John Lennon, Madonna, President Barack Obama, Lin-Manuel Miranda and others. 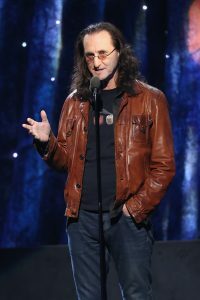 Pearl Jam, Tupac Shakur, Electric Light Orchestra (ELO), Journey, Joan Baez, Yes and Nile Rodgers have been announced as the inductees in the 32nd Annual Rock & Roll Hall of Fame Induction Ceremony, presented by Klipsch Audio, which will take place on April 7, 2017, at Barclays Center in Brooklyn, New York. Rodgers, a Grammy-winning producer and founder of Chic, will be given the Award for Musical Excellence. The rest of the artists will be inducted in the Performers category. Ticket on-sale dates will be announced in January 2017. HBO will once again televise highlights from the ceremony on a premiere date to be announced. The show’s radio broadcast will be on SiriusXM. The special exhibition on the 2017 Inductees will open at the Rock & Roll Hall of Fame in Cleveland on March 31, 2017. 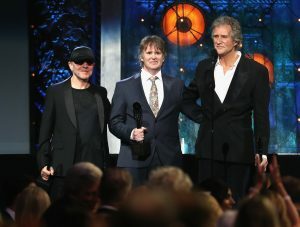 Artists are eligible for inclusion in the Rock & Roll Hall of Fame 25 years after the release of their first recording. 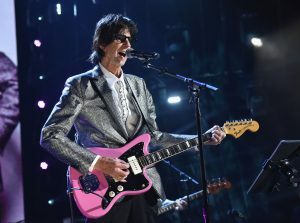 The 2017 Rock & Roll Hall of Fame Performer Inductees were chosen by more than 900 voters of the Rock & Roll Hall of Fame Foundation, as well as the aggregate results of the Rock & Roll Hall of Fame’s online fan vote. The top five artists from the fan vote comprised the fans’ ballot that was tallied along with the other ballots to determine the 2017 Inductees. Four of the groups from fans’ ballot (Electric Light Orchestra, Journey, Pearl Jam and Yes) will be inducted. 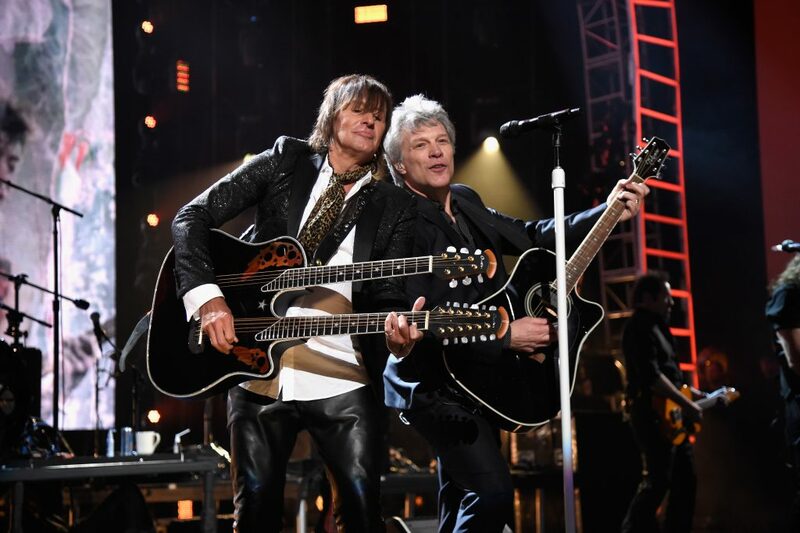 The Rock & Roll Hall of Fame Induction Ceremony is known for its on-stage reunions, memorable tributes and all-star jam sessions. It has not yet been announced which of the living inductees will attend, who will induct them, and who will be performing. It’s a tradition for the inductees who attend to also perform at the show. In rare cases, some inductees attend but do not perform either because of their health or for other reasons. 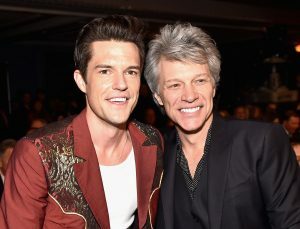 Bands that have had feuds or several lineup changes are often at the center of speculation about who will show up for the acceptance speech and performance. 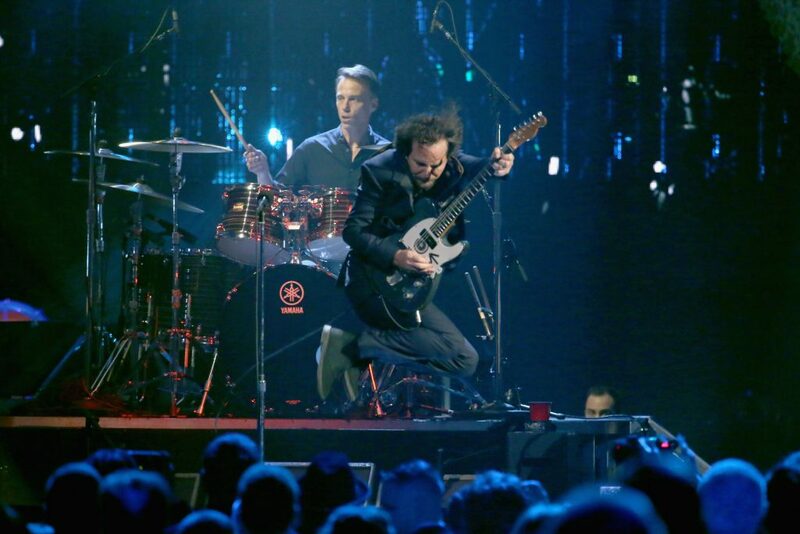 Led by singer/songwriter Eddie Vedder, Pearl Jam’s only major lineup changes have been with the band’s drummers. 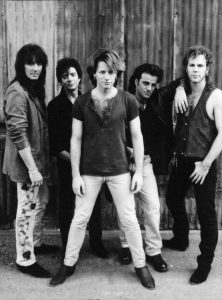 Between 1991 and 1998, the band parted ways with four different drummers. 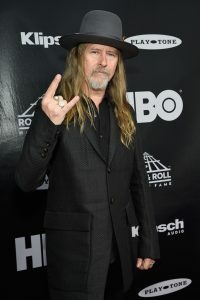 Since 1998, the band’s current lineup has remained the same: Vedder, lead guitarist Mike McCready, rhythm guitarist Stone Gossard, bassist Mike Ament and drummer Matt Cameron. Journey has had several lead singers since the band released its first album in 1975. 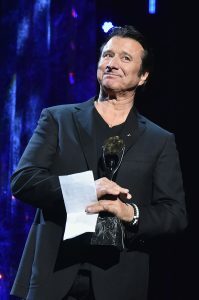 Steve Perry is Journey’s most famous lead singer, since he was in the band during its heyday in the late 1970s to 1980s, when Journey had its biggest hits. 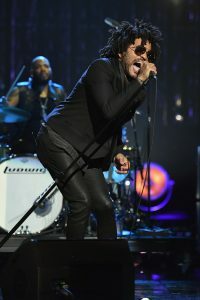 Perry, who is now a solo artist, has battled health problems with his vocal cords and hip, and it is unknown at this point if he will perform at the induction ceremony. Gregg Rolie, Journey’s original lead singer, has most recently been recording and touring with Santana, his other mega-successful band from the San Francisco Bay Area. Steve Augeri was Journey’s singer from 1998 to 2007. Journey’s current lead singer, Arnel Pineda, was famously discovered on YouTube, and has been in the band since 2007. 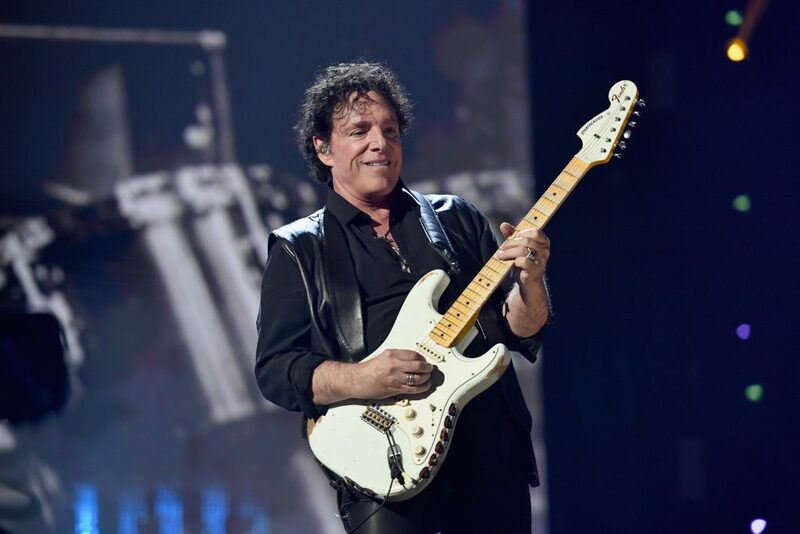 Journey lead guitarist Neal Schon, keyboardist Jonathan Caine and bassist Ross Valory are longtime members of the band who have stayed in the group throughout its changing lineup of lead singers. 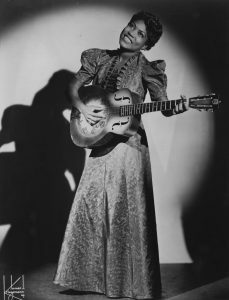 American folk icon Baez, whose first album was released in 1960, has been steadily performing throughout her entire career. It’s safe to assume that she will attend and perform at the ceremony. 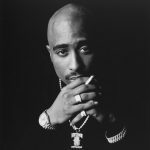 Hip-hop star Shakur, who was shot to death in 1996 (in a murder that remains unsolved), will likely be represented by his mother, Afeni Shakur, and possibly other members of his family or business associates. 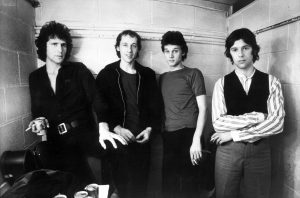 British pop/rock band ELO has had numerous lineup changes, breakups, and revivals since the group’s first album was released in 1971. 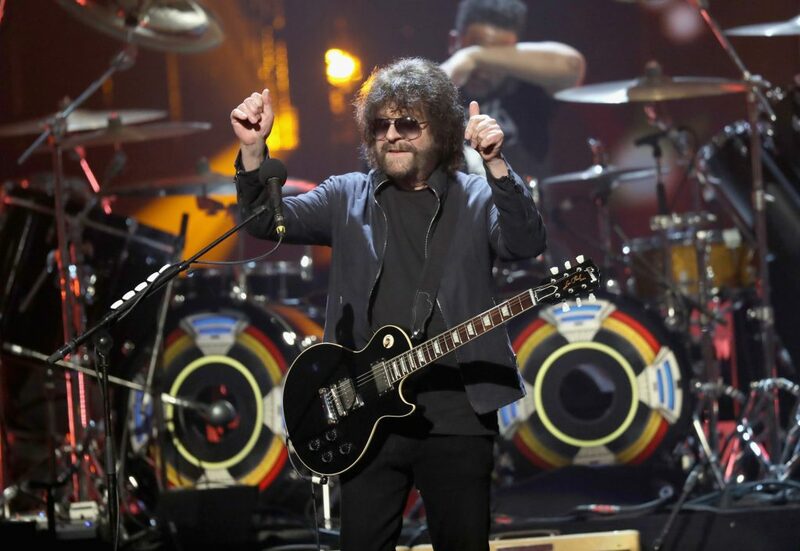 Singer/songwriter/guitarist Jeff Lynne has been the band’s chief architect, since he wrote and produced the band’s biggest hits. 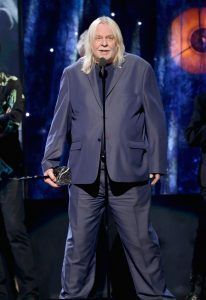 ELO co-founder Roy Wood performed only on ELO’s first album, but he is still eligible to be inducted with ELO in the Rock and Roll Hall of Fame. 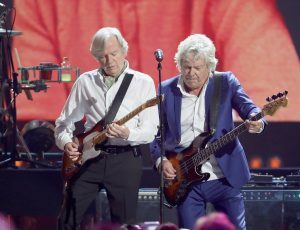 Meanwhile, other original members of the band—such as keyboardist Richard Tandy and drummer Bev Bevan—were part of the group during ELO’s heyday in the 1970s through mid-1980s. 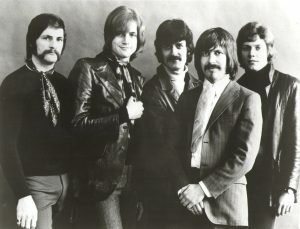 Bevan later recorded and toured as part of the spinoff group ELO Part II, while Tandy is part of Jeff Lynne’s ELO, a group that has toured with Lynne since 2015. 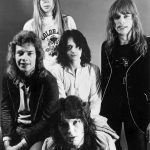 Yes is another British rock band that has undergone many incarnations and revivals. 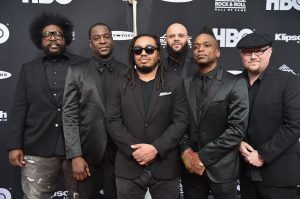 Since 2015, the band’s lineup has consisted of guitarist Steve Howe, drummer Alan White, keyboardist Geoff Downes, bassist Billy Sherwood and singer Jon Davison. 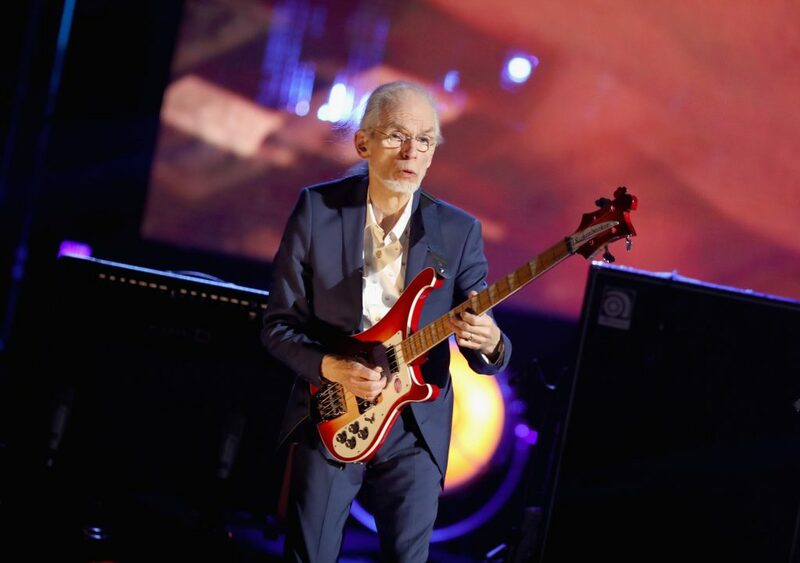 Bass player Chris Squire, one of the original members of Yes, died in 2015. Jon Anderson, who was in Yes off and on from 1968 to 2008, is the band’s most famous lead singer, since he sang on the group’s biggest hits. 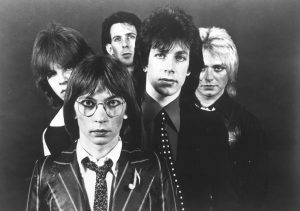 Other well-known former members of Yes are keyboardist Rick Wakeman, drummer Bill Bruford, singer/bassist Trevor Horn, and keyboardist Tony Kaye. He first rose to fame in the late 1970s as a member of the dance/R&B group Chic. 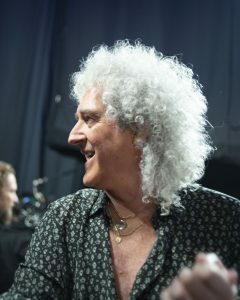 Since then, Rodgers has worked with a wide variety of artists, including Daft Punk, Duran Duran, Diana Ross and Madonna.